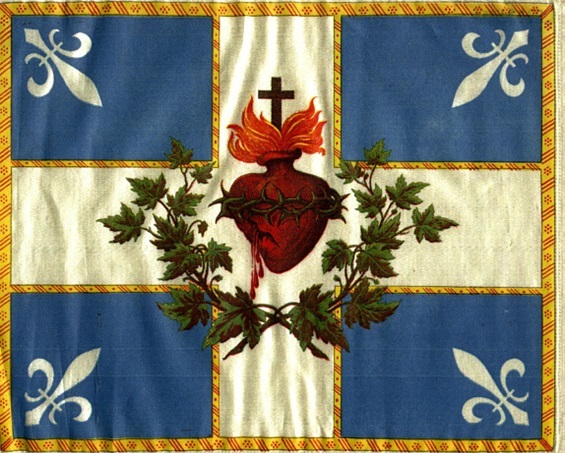 Drapeau Carillon-Sacré-Coeur - the flag waved by French Canadian Catholics until the 1950s. NOTE: TCW urges our Canadian fellow True Catholics (i.e., those in union with Gregory XVII's Apostolic Succession, today) to wave this beautiful flag again ... and again! Oh, that Quebec would repent and come back! Today is the Feast of the Sacred Heart of Jesus (Double of the I Class).